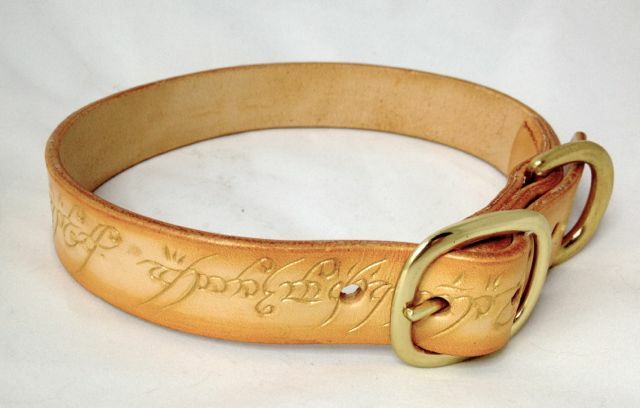 This leather dog collar has the Elvish script from the Lord of the Ring's "The One Ring" carved into it. The collar is black with glow in the dark pigment rubbed into the script. For best results, hold the collar up to a source of light to charge the lettering, then turn the lights off to enjoy a few minutes of glowing script. In English, the script reads: One Ring to rule them all, One Ring to find them, One Ring to bring them all and in the darkness bind them. 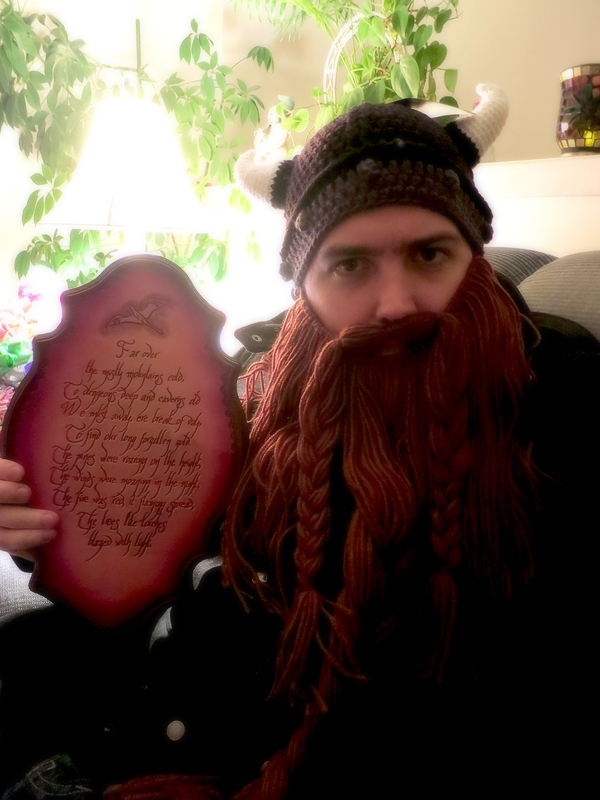 In Black Speech, as the ring in the story was inscribed, it reads: Ash nazg durbatulûk, ash nazg gimbatul, Ash nazg thrakatulûk agh burzum-ishi krimpatul. 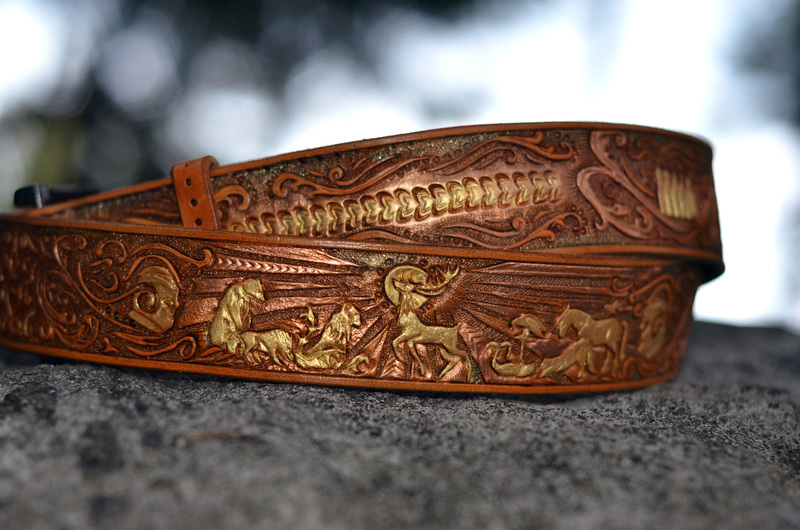 If you would like your dog to have "The One Collar", then this is the one for him or her! The buckle and D-ring are securely riveted and stitched with black nylon cord. Collar size is defined as the length between the tip of the buckle and the middle hole. For example, a 16" collar is adjustable from about 14" to 18". Measure the length between the tip of the buckle to the most-used hole on your dog's current collar to determine his/her collar size. To see if a glow collar of the appropriate size is already made and ready to ship immediately, please check [this listing]. Please note that this collar is made-to-order to your specifications and will take 3-4 weeks to ship. 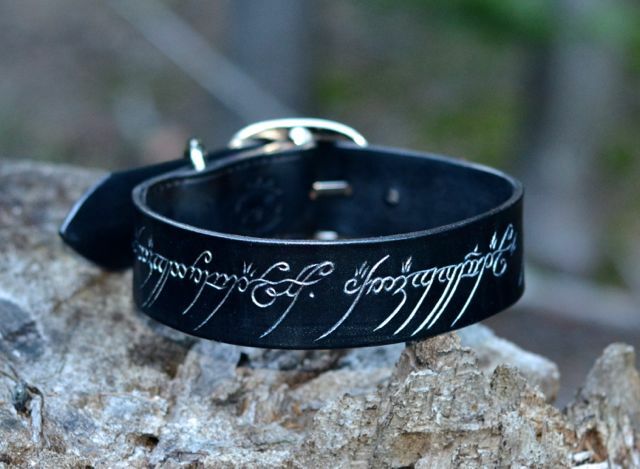 This leather dog collar has the Elvish script from the Lord of the Ring's "The One Ring" carved into it. 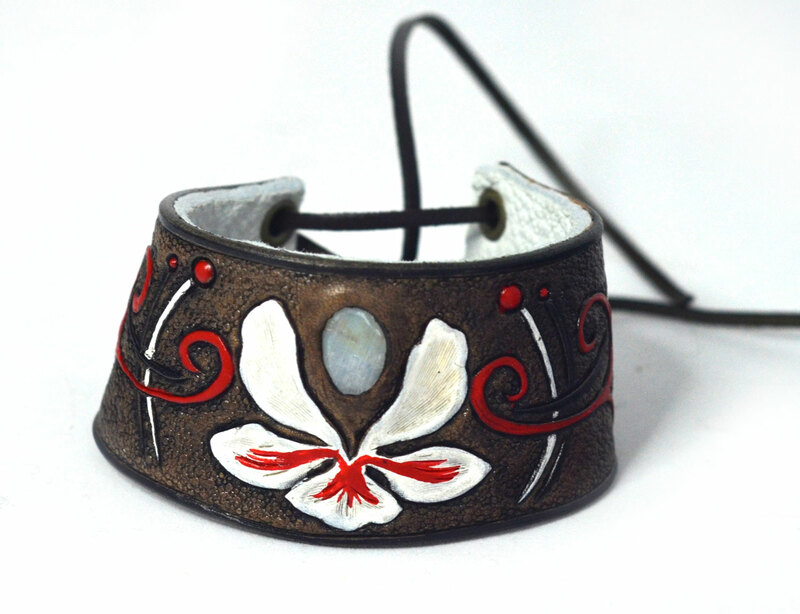 The collar has tan dye airbrushed on the edges to give the effect of looking like a metal ring. Shiny gold pigment is rubbed into the script that glints in the light. In English, the script reads: One Ring to rule them all, One Ring to find them, One Ring to bring them all and in the darkness bind them. In Black Speech, as the ring in the story was inscribed, it reads: Ash nazg durbatulûk, ash nazg gimbatul, Ash nazg thrakatulûk agh burzum-ishi krimpatul. If you would like your dog to have "The One Collar", then this is the one for him or her! The buckle and D-ring are securely riveted and stitched with white nylon cord. 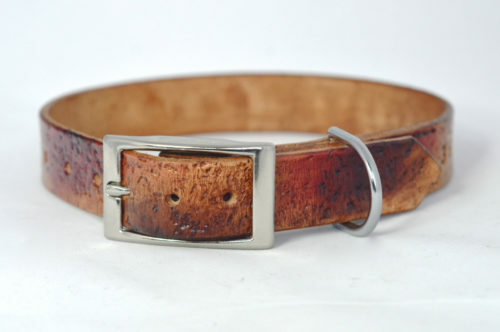 Collar size is defined as the length between the tip of the buckle and the middle hole. For example, a 16" collar is adjustable from about 14" to 18". 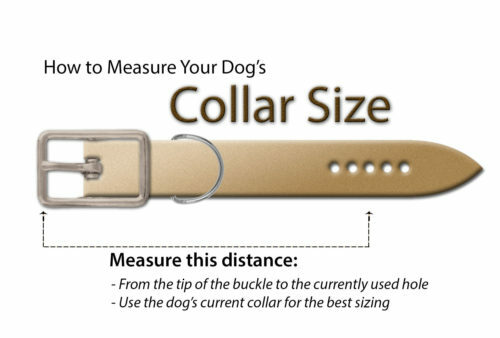 Measure the length between the tip of the buckle to the most-used hole on your dog's current collar to determine his/her collar size. To see if a glow collar of the appropriate size is already made and ready to ship immediately, please check [this listing]. 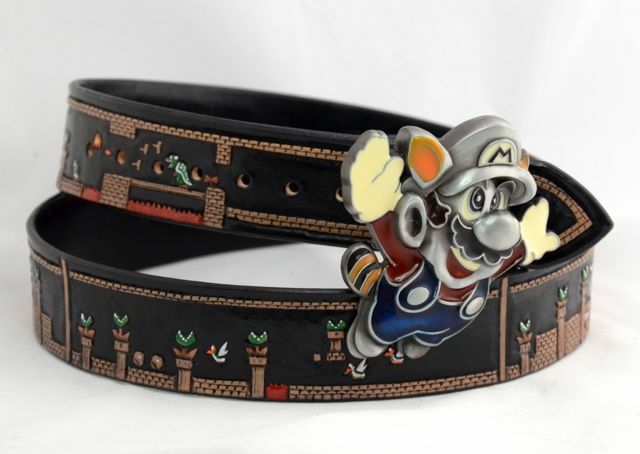 Please note that this collar is made-to-order to your specifications and will take 3-5 weeks to ship. 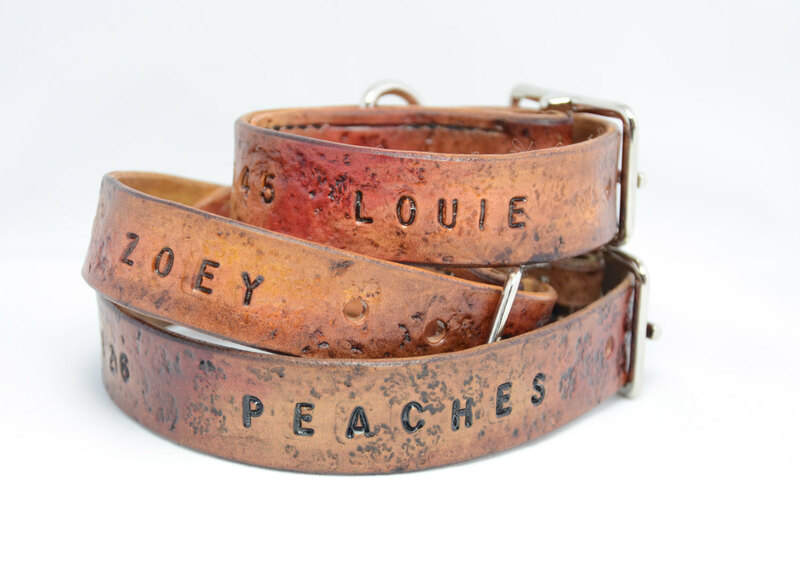 This leather dog collar is stamped with text of your choice, usually your dog's name and your phone number. With your contact information stamped directly on the collar, your dog won't have to carry noisy tags. 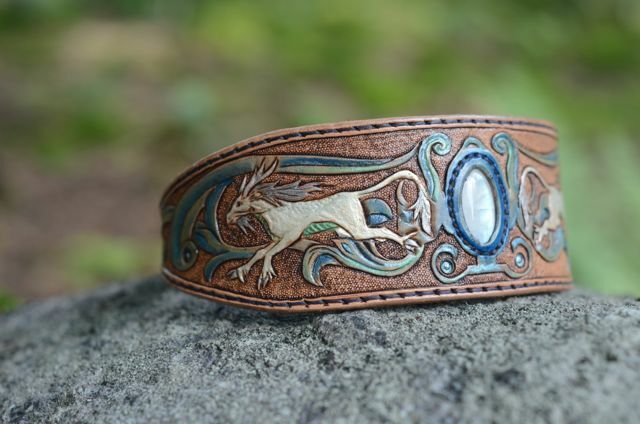 This design is perfect as a house collar not only because of its noiselessness; it has been artfully distressed and dyed to look like well-worn leather. Time, wear, or few puppy tooth marks will only add to its character. The collar will be crafted from vegetable tanned leather of the highest quality. The leather (which comes from Europe) is cut from the "bend" (the back part) of the cow, and is more durable and less stretchy the cheaper cuts from the belly or the shoulders. 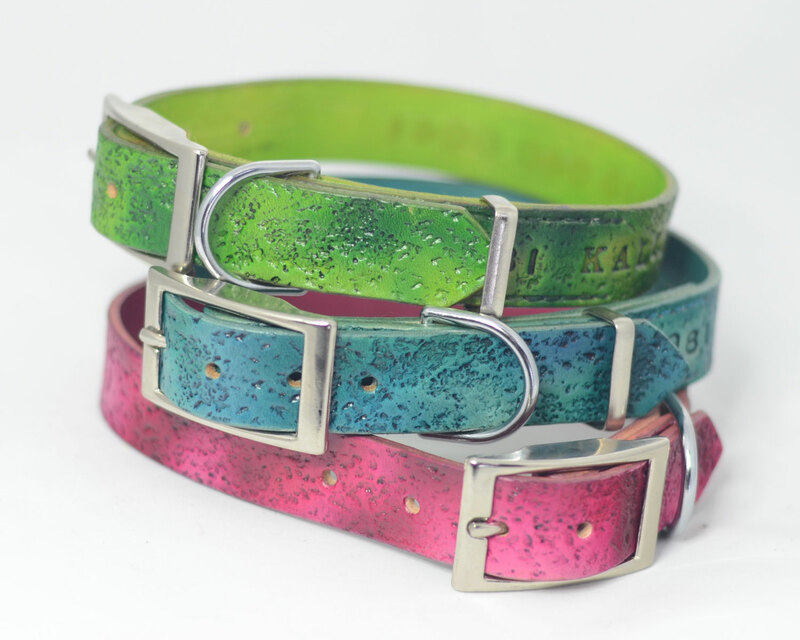 The collar is typically made 1 inch wide, though other sizes can be accommodated. Colours may vary slightly from the photos, and I'll send you a photo of the completed collar before it ships out. I'll blend together browns, tans and reds to achieve the "aged" look, although other colours can be accommodated at your request. 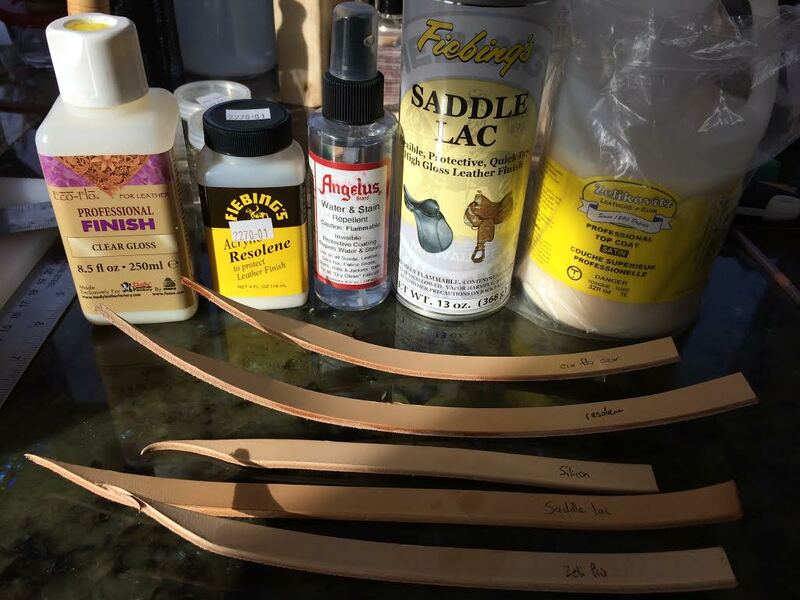 The leather is treated to mink oil and leather conditioner to soften and protect the leather. Please note that the leather will darken slightly over time. When checking out, please note your dog's current collar size (please see the last image posted in the series of photos), and I will craft the collar using that size as the center hole. If you would like the collar crafted with extra room to grow for a puppy, then please convo me at the time of purchase to confirm the size range that you would like. Please type in the field below the text you'd like stamped, and any other modifications such as colour changes or custom buckle types. 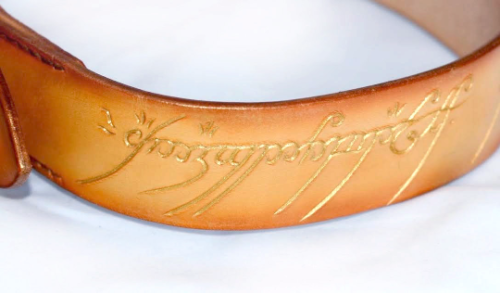 This 1" wide leather dog collar has the Elvish script from the Lord of the Ring's "The One Ring" carved into it. The collar is black with glow in the dark pigment rubbed into the script. For best results, hold the collar up to a source of light to charge the lettering, then turn the lights off to enjoy a few minutes of glowing script. In English, the script reads: One Ring to rule them all, One Ring to find them, One Ring to bring them all and in the darkness bind them. 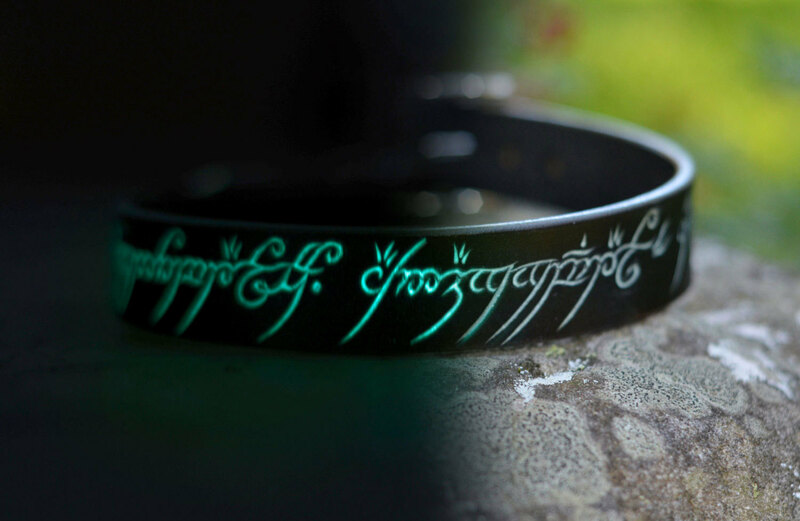 In Black Speech, as the ring in the story was inscribed, it reads: Ash nazg durbatulûk, ash nazg gimbatul, Ash nazg thrakatulûk agh burzum-ishi krimpatul. If you would like your dog to have "The One Collar", then this is the one for him or her! The buckle and D-ring are securely riveted and stitched with black nylon cord. Is your dog's size out of stock or not on the list? Contact me and I'll prioritize that size on my crafting list or create a custom size to your dog's neck size specifications. 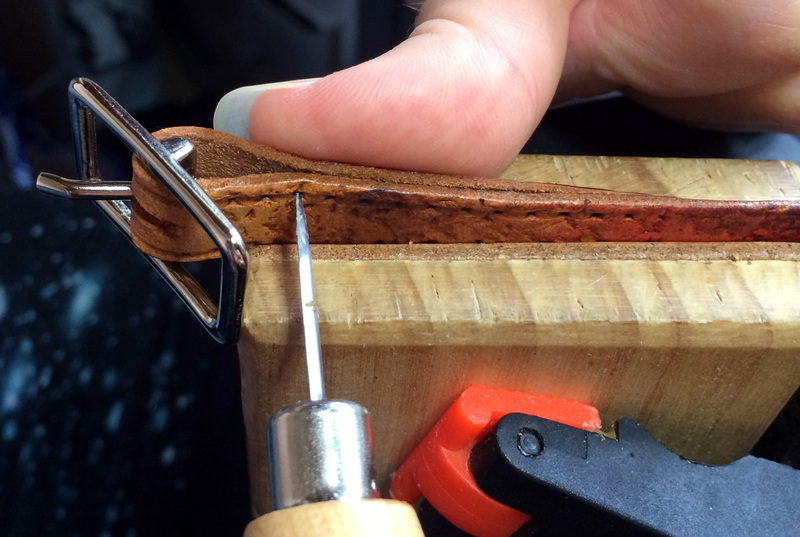 Collar size is defined as the length between the tip of the buckle and the middle of 5 holes, punched 1" apart. For example, a 16" collar is adjustable from 14" to 18". Measure the length between the tip of the buckle to the most-used hole on your dog's current collar to determine his/her collar size. 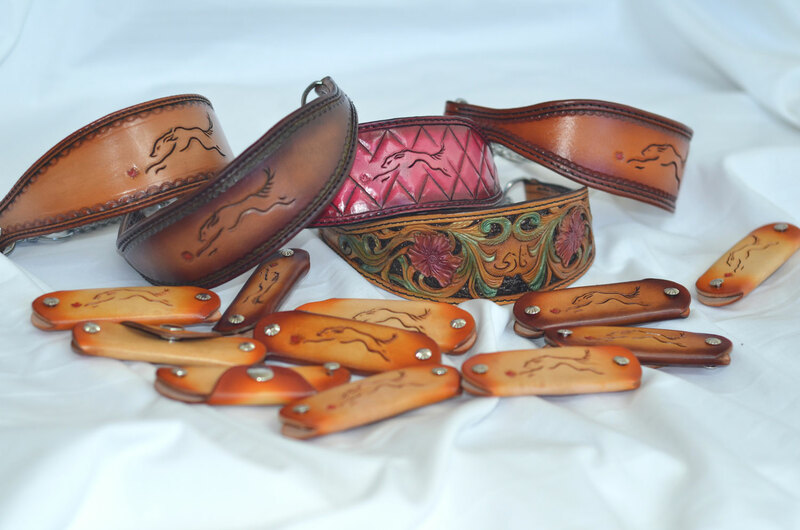 These collars are ready-made and will ship out in 1-3 business days. If your size is out of stock or none of these fit quite right, check [this listing] for a made-to-order collar in this style or [contact me].